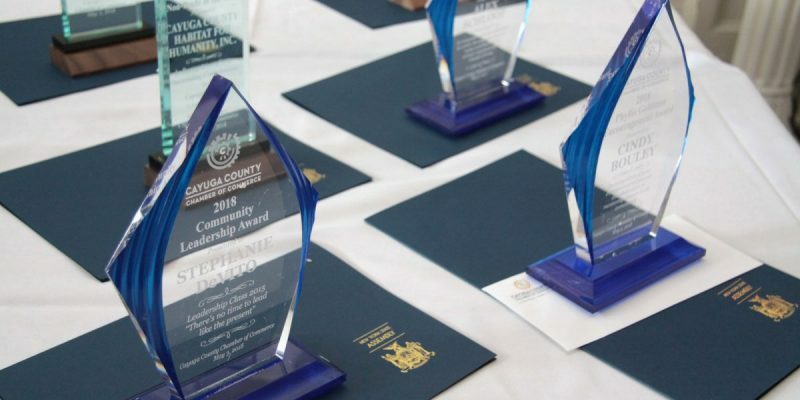 This awards luncheon recognizes business leaders for their outstanding contributions to the economy and overall development of Cayuga County. REGISTER NOW!! In total, there are 7 Awards being given out at the Chamber Awards Luncheon. -Recognizes an individual who is pursuing excellence in their career. A young professional is a goal-oriented person under the age of 40. This year’s recipient is Renee Jensen, Senior Planner for the City of Auburn. – Honors businesses that continually invest in Cayuga County & have shown leadership by taking an active role in our community. This year’s recipient is Home Instead Senior Care. -In Business 5 Years or More – Custom Engraving, Inc.
-Recognizes a non-profit organization that contributes to the success of our community by enhancing the quality of life or contributing to the economic base of Cayuga County. This year’s recipient is Cayuga Community Health Network. There is also the Community Leadership Award, sponsored by Cuddy Financial Services, open to Leadership Cayuga Alumni, which is a Chamber program geared towards empowering diverse individuals with the knowledge, skills, and inspiration to successfully achieve leadership roles while developing a collective resource and problem-solving network to address present and future community needs and challenges. This year’s recipient is Leadership Cayuga Class of 2012 alumna Stephanie Hutchinson, Executive Director at Auburn Housing Authority. We also present the Phyllis Goldman Encouragement Award for Women this award recognizes women in our community who have demonstrated noteworthy entrepreneurial and professional pursuits, who are committed to community and have served as a role model for other women and girls pursuing their career dreams. 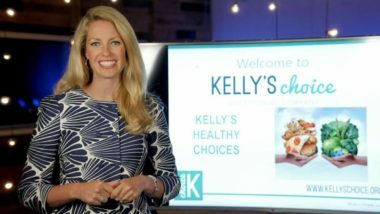 This year’s recipient is Kelly Springer, Founder & Owner of Kelly’s Choice Nutritional Company. Kelly will deliver the keynote address at our Annual Chamber Awards Luncheon Wednesday, May 8th, at Springside Inn, Auburn. Register via the link below, and join us to celebrate this year’s award winners!